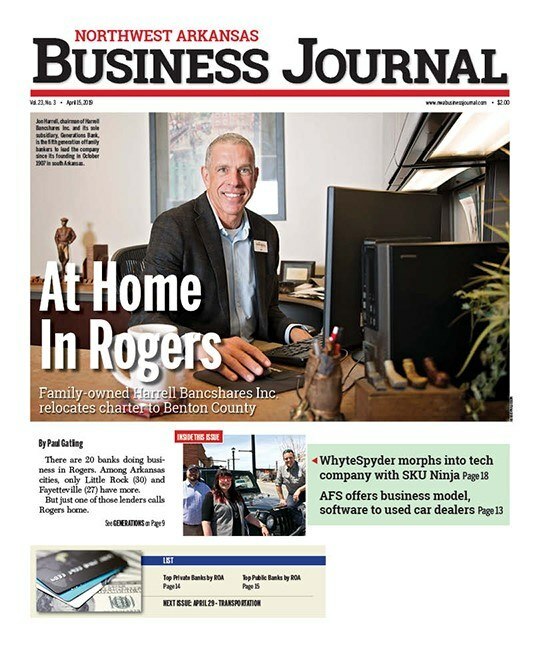 EDITOR’S NOTE: The following story appeared in the Oct. 15 issue of the Northwest Arkansas Business Journal. 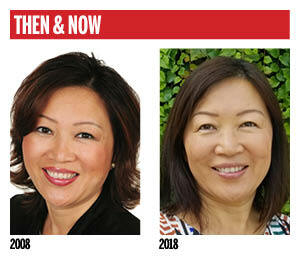 “Then & Now” is a profile of a past member of the Business Journal’s Forty Under 40 class. The process of earning an MBA led Joy Hagerty to an unexpected new career in real estate investing. After decades in retail, Hagerty wanted to either take her career to a new level or develop a new interest, so she enrolled in an MBA program. By graduation in late 2017, she began to build, buy and renovate homes. She’s been surprised at the level of fulfillment she feels and the creativity she’s discovered within. Hagerty, now 50, was named one of the Northwest Arkansas Business Journal’s Forty Under 40 honorees in 2008. At the time, she worked as an independent consultant to businesses and industries wanting to sell products to large retailers, primarily Walmart and Sam’s Club. Born and raised in China, Hagerty previously held several positions with Walmart in China and Bentonville. She worked as a buying manager and director of diversity relations in Bentonville. In China, she worked as senior director for corporate affairs while the retailer expanded from having two stores in her home country to 28. Her responsibilities were obtaining permits and licensing from a myriad of government officials including central ministers, provincial governors and city mayors. She also worked as a general merchandise manager and the director of loss prevention in China, helping secure an important bribery prosecution. As a result, she earned the company’s Loss Prevention Country Director of the Year award in 1999. In the MBA program, Hagerty earned a 4.0 GPA. She was already a CPA, but in the program she learned more about the value of a dollar, leveraging funds, maximizing returns and working with banks. “You’re not in a silo. You can find someone to answer your questions, and that propels you to share with others,” she said. Hagerty buys homes that may be older or overlooked. She purchased a 100-year-old home with four bedrooms and only one bath, and discovered the walls were stone and hard to tear down. “I was wondering. How do I do this? How do I get another bathroom? And one night I awoke from sleep saying, ‘I found it!’ and I had the concept. This kind of thing continues to happen,” she said. In her spare time, Hagerty has for six years mentored and tutored Chinese students and exchange scholars who come to Northwest Arkansas. They meet at Fellowship Bible Church in Fayetteville. She helps them learn English through studying the Bible and discussing practical life applications. Overall, she finds herself yearning to downsize and simplify. “There is no need to be weighed down by life. I believe in simplifying possessions and the way you live,” she said. Her husband owns a business, but eventually, she hopes they will live outside the country. “What I’m doing is working to propel us into a self-funding mode so we can go out into the world as missionaries,” Hagerty said.